International recruitment was a huge focus for universities and colleges in 2018. It will be an even bigger focus in 2019. We wanted to include this international recruitment campaign from the University of Leeds. Storytelling is a powerful tool when it comes to recruiting internationally and this story of one student's journey to becoming a student at the University of Leeds is refreshingly honest, real and charming. 4. University of Oxford: How do geckos walk on water? One of the biggest game changers in the promotion of university research has been YouTube. 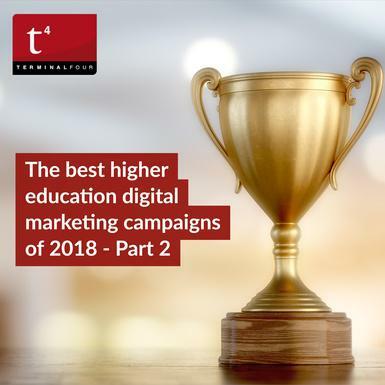 One of the biggest trends, we noticed last year was an increasing number of universities using video to market their research. Universities are now telling stories that have mass appeal and are framing their research within a narrative. If you're interested in trying this in 2019, the University of Oxford are doing this in a simple but very effective way. Check out their YouTube channel for more great research stories. Move in week is one of the hectic and most exciting week of the year. As marketers, it's also one of the most opportune weeks for creating and sharing content. University of Michigan are old hats when it comes to creating campaigns that stand out but we especially loved their "Welcome Home" campaign. We created a blog about this one back in September. The university released a series of Welcome Home videos on Instagram. IN each video, a well-known TV show or movie got a makeover including; Harry Potter and The Wizard of OZ. The result delivers a powerful message, that new students are already home. Just magic! The "We Rise" campaign is a couple of years old but in 2018 it continued to inspire us. The campaign focuses on telling inspirational stories of current students and alumni. The newest video ad features a working woman in the 1970s unable to balance it all until she finds a flyer from the University of Phoenix titled "Degrees designed for working adults". It's a powerful message and one that taps into a huge audience of students who are working while studying. Well, that's it for 2018. It was a year that saw everyone up their digital marketing game. 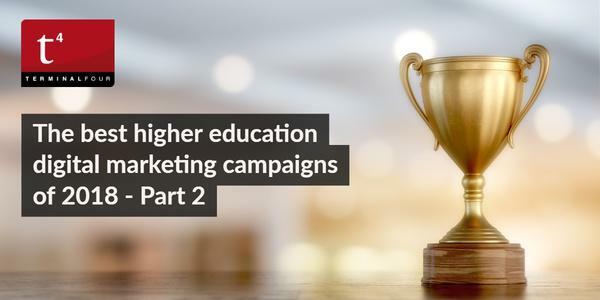 Universities told more stories, gathered more user-led content and continued to create some truly inspiring videos. We can't wait to see what 2019 brings!